Thank you for the link to Trudy's Wheel, nyssaap. You do not have any dubloons yet! Maybe you should try playing some pirate games, matey! I know organization is a thing. I am just having a wee bit o trouble finding it. I am working on the Faerie Festival section. I normally have the answers posted daily by 7 am NST. Be sure to scroll down to check. In order to open a new window you have to right mouse click on a link and select the menu option, "Open in New Window". Eventually I will get to fixing the missing images. type of coding web pages. This should be comical, if not down right hilarious. I recently closed my photo bucket account because of the ridiculous third party hosting fee's. So there will be some picture/photo not found pics on this page until I get new images uploaded. It's a very funny petpage. If I slept in late, it is because I am and have been a tad under the weather. The time change from standard to daylight savings did not help either. Who is getting the savings??? Not me. I will post basic answers on this pets lookup page. Be sure to scroll down below the pet information. Somedays I get up and my comupter is just slower than molasses in January. Today was not one of those days. Check the links above if I don't have the current answers posted here. Do NOT click until you are ready to start the puzzle. I had to add this because of the Faeries are turned to stone. I have the newest answers. If you play every day like I do, this random event occurs. You solved the crossword puzzle in 3 minutes and 15 seconds! The Library Faerie is so happy! Your pet gjfihjithjihtusihj has increased in intelligence by 2 points! Remember, you must read books to your pet. in all NEOPET SHOPPES around NEOPIA!!!! The Daily Puzzle is now updating midday. Below is the question that we saw as most current. However, some days the question is updated in the middle of the day. Who caused Baelia to lose her wings and powers? Krawk island is back! Collect your gifts for participating and visit the new daily! A new daily. Occasionally gives Forgotten Shore Map pieces. A short cut for when the Govenor's Mansion glitches. Requires the completion of the Forgotten Shore Map. Or did you get stiffed like me..
You wait around for a bit, but nothing seems to happen. Best be on your way. Another freebie from the Grundo Warehouse! 200KFBPRIZECOPPMU - I got a copper mustash. It is probably different for everyone. probably. After trying 4 times and not winning anything, I no longer play this daily. I hope some of you do better than I did. I checked today, March 13, 2016, and there are no quests to be had. There are daily faerie quests and free gifts. SO! Get that Faerie Quest Fortune Cookie out of your SBD and use it! Link to Jellyneo's Faerie Quests Help Page. 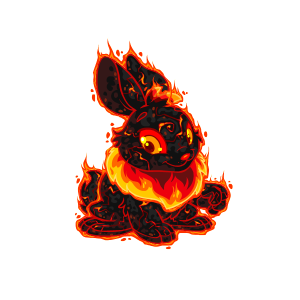 I tried to make a "hot link" to Jellyneo's Faerie Quests Help Page, but it was blocked by the Neopets anti-phishing filters. This was a link that used NeoCash with the Crafting Faerie. It is now a link that takes you directly to the Faerie Quests page in Faerie Land. I am sorry that there is no direct link to the Crafting Faerie like there was back when Viacom owned the site. Oh Yeah,,,, Another scrolling box. You have won 25000 Neopoints! You also win 3 faeries and a Skunk Paint Brush! Your pet's level and strength have also increased! You have won 2500 Neopoints! You also win the Petpet Tenna! You have won 750 Neopoints! You have won 100 Neopoints! You have won 250 Neopoints! This item is now in your inventory, where (presumably) it's safe from that Kyrii thief, Stan. Funny how they don't ever mention the Pant Devil. You have won 1,000 Neopoints! You have won 750 NP! Quote from community central page about the pet's training dates. Started Thursday, March 26, 2015. Ended Sunday, April 5, 2015. The Snowager is in hibernation. Anytime should be a good time. IGNORE - back to it's normal schedule. Apparently some one at TNT missed the Snowager hibernation start time. everyday by clicking on the bottom left corner pile of purple rock. Are there gears there, too??!!?? This is a link to Jellyneo's Moltara Worm Quest! page. I put this here in remembrance of what used to transpire daily, several time a day. I have not seen the black worm in a long time. It has been longer for the other item: Red Moltite, Scrap Metal and Stone, and the Miscellaneous Gears. Another event that escapes me is the sleeping gards at the Magma Pool. You find a pile of gears on the ground. What could these possibly be for? has been added to your Inventory. The faerie plot is over. Check out Neovia, the town. Go directly to Apple Bopping and get a quest? Apple Bobbing will be at the Haunted Fair during the month of Halloween. 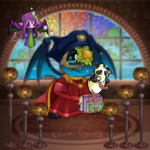 Do not go here with your battle pets. I have just noticed that my pet looses health on failed bobs. Not only has this taken items and NP from me, just recently it has taken an Advent Calendar item from me. The Magma Snowflake. So needless to say I was not happy. Now I clear my inventory of all items except for that worm lantern and one Hifflo Yoyo. Loss of either is no big deal. But if you do like gambling with RARE ITEMS, then you don't worry about clearing your inventory. Got a hankering for apples? While dipping your head in the cold, murky, apple-filled water, you feel the belongings you were holding in your arms start to slip. *splash* Oh no! Not your Empty Lantern. While bending over the water, those Neopoints you were saving slide out of your pockets. *Plop, plop, plop* Drat. So much for that can of Neocola you were going to buy later. While you have your head thoroughly entrenched in a barrell full of musty water that others have been dunking their heads in all day, a member of the thieves guild decides to "relieve" you of some of those heavy Neopoints you've been carrying around. Well there goes 600 NP. The fairie crossword puzzle covered that event this time. You lean over the barrel to see what apple looks the best and as you lean over you drop something into the water and out pops an apple right into your forehead. OUCH! You now seem to have Blurred Vision. Note: The possibility of losing something to the Barrel of Apples is greater than losing something to the Pant Devil. Also, you may have to refresh the page if it does not load properly. Check your inventory for your Planet 51 prize! You have also been awarded the jackpot of 5100NP!!! daddy does the (very) happy dance!!! Day 30 - News... in... SPACE! Best guide on the rules I have seen in a long time. This guide is written by professional writer. For reasons I do not understand, Jessy's Music page has been reset and is now just a pet lookie. This is where I will list all my lab rat pets that I have adopted from the pound, nurtured back to health and adopted out to people. The first link will always be my active lab rat pet. CHeck out my latest experimental pet to see how the lab ray affects it each day. Sorry I havent loaded any info. been busy. This one was a male Grundo. CHeck out a page of old experimental pets to see how the lab ray affected them each day. Neopets is somehow blocking the code to link jelly world. www.neopets.com/ j e ll y /index.phtml? Can you guess when the 1 million neopoints are given away? Hello, daddyattitude welcome to my homepage. I am _Druel_16 the Jetsam, the most ferocious of all the Neopets. I enjoy hunting down cute little pets like the chias and poogles and eating them for lunch. Chia's are especially tasty on a cream cra_cker with peanut butter (mmmmm! good!!!). If you enjoy dining on the tastier neopets, as I do, contact my owner daddyattitude and maybe we can go out and you can be lunch sometime. Will I prevail against rising inflation? I know I will fight my hardest to have the lowest prices in Neopia! This top aligned layout forces the background on the box to the bottom. The image is only 300 pixels high, and the box is 420 pixels high. In the background property for the first box, I used a "0" and a "120" - the "0" tells how many pixels the background will move from the left, and the "120", moves it down 120 pixels, leaving room for my second box at the top. Images and hyperlinks can be placed in between the colored horizontal rules. Be sure to plug your guild! And don't forget to post a link to your trades! Balthazar the Bounty Hunter's Faerie Giveaway Happens on Wednesday's at 7am NST (Neo Standard Time) check out the clock on the main page to see what time it is. Loads of captured faeries are released at the money tree for you to rescue! There is a chocolate giveaway on Sunday at 5:50 pm NST-blocked-: Money Tree. Don't forget to redeem your Freebies. Anytime anyone feels like criticizing my page feel free, and I will be more than happy to add you to the list below. When I wrote the above statement, I did not realize the full implication of the meaning. Anytime anyone feels like criticizing my page and has their neomail set to friends only so that I cannot respond, I will be more than happy to add you to the list below. anam_cc did not leave me any means to reply to the comments she made. So, I put her here. I do not have bells, lights and whistles as I am not after fanfare. Like you said Anam_cc, I have good information. I don't have the time to glamorize this page, nor do I ever intend to. Thank you for writing me. And may we have our next caller please?